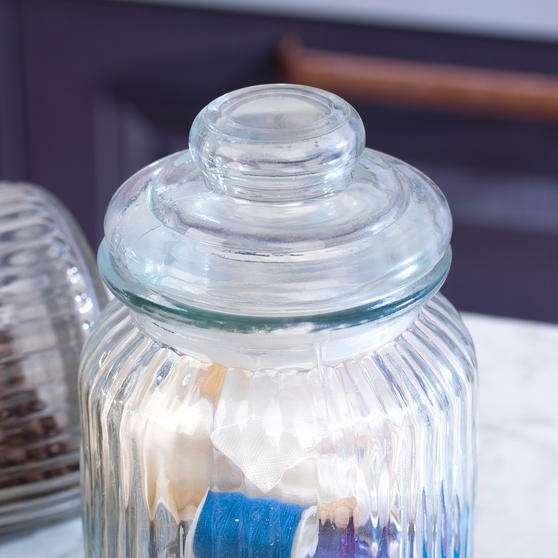 Perfect for storing ingredients, craft materials, sweets and more, these vintage style glass jars by Giles & Posner are a perfect addition to your home or workspace. 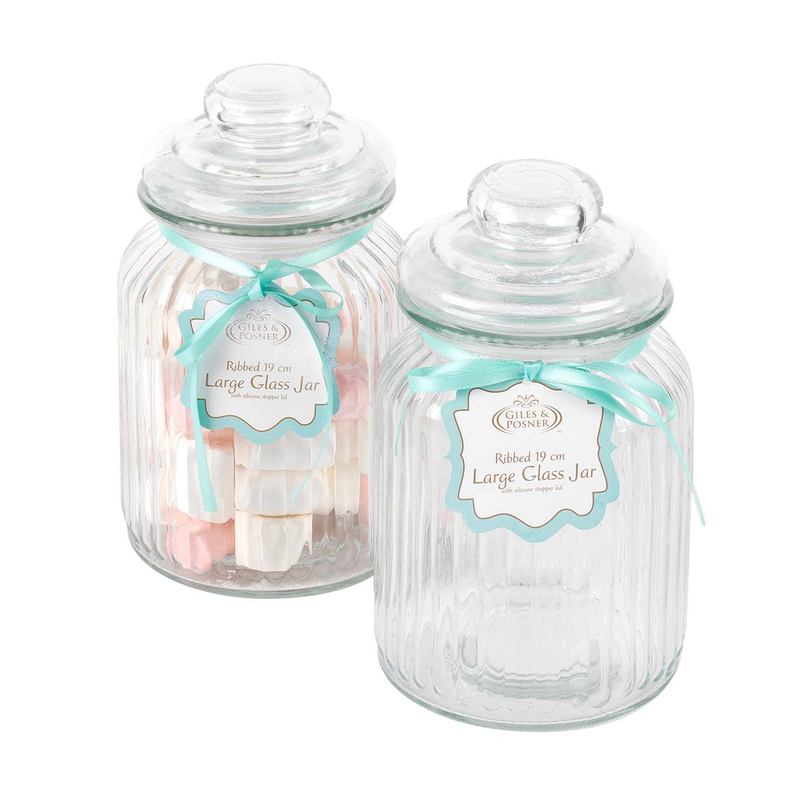 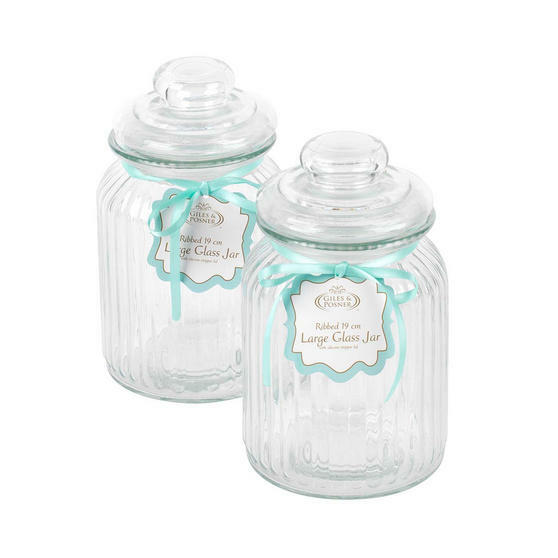 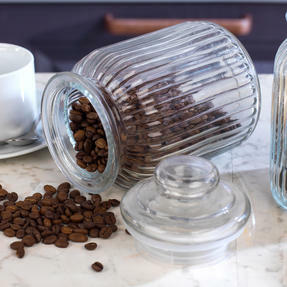 Made from clear glass with a ribbed finish, these lovely jars feature a silicone stopper lid so the contents will stay fresh and remain hygienically stored. 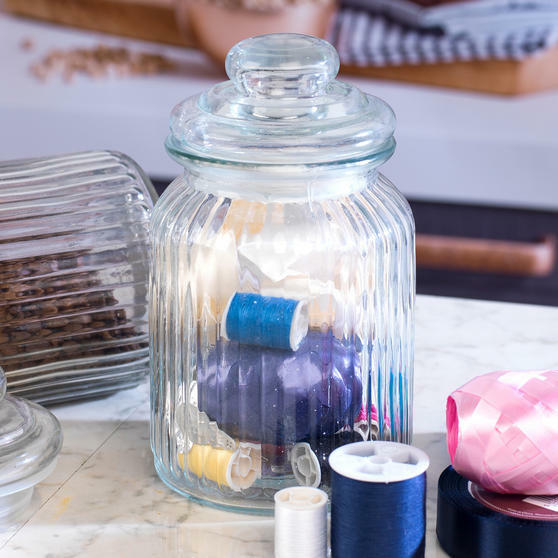 Channel your inner baker and store flour, oats or pasta in in the kitchen, or fill with sweet treats and give them as beautiful homemade gifts to your friends and family. 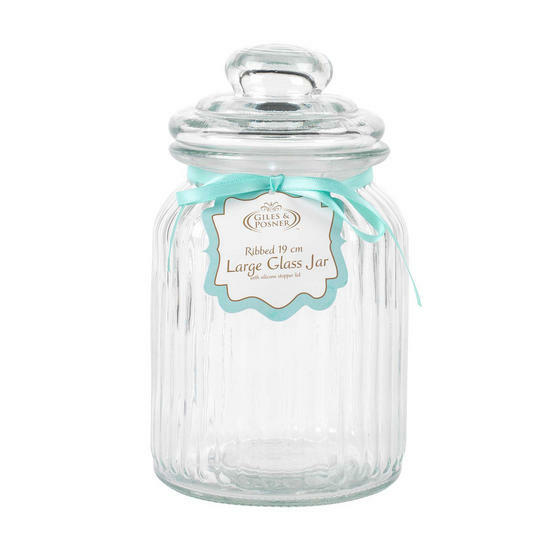 These large jars measure 11 x 11 x 19 cm, perfect if you are looking to maximise your storage space in the kitchen. 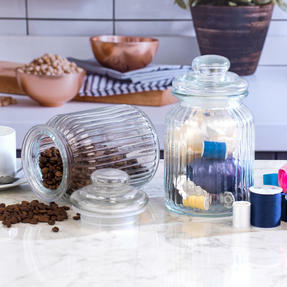 Perfect for storing baking essentials such as flour or oats, or even for pantry staples such as lentils, pasta, rice and more.